That’s what this momma was thinking when my oldest daughter was picked for a Sunday morning sermon illustration…and my middle girl wasn’t. And it was ugly. I prayed for most of the Sunday while she hunched in the pew, unresponsive to touch or kisses or comforting words. And I prayed while she shuffled slowly with slumped shoulders down the hall to Children’s Church. And I prayed as she stretched out on the floor face down while the other kids sang the songs and listened to the lesson. What else to do but pray? We’ve had these discussions relentlessly, trying to love on this girl and pull those roots of bitterness plain old out of her heart’s soil. Telling her that she’s loved, totally loved, for who she is and how God made her. How she doesn’t have to be like her sister or compete with her sister, not in any way, not in what she wins or earns or the recognition she receives or the hobbies she pursues. Sending her out for time alone with her Daddy, giving her that attention and that feeling of special, unique and beloved. But it always comes down to absolutes with her. She cries that her sister “always” and she “never.” She keeps tallies and totals, and ongoing score sheets, and how does she remember all this anyway? How many gift cards Victoria has received: A Million!!!! How many gift cards I have received: Two. How Victoria earned first place. How I failed and lost…. (translation: won second place). How I only got a trophy. We try to reason it out, reminding her of truth and shutting down the lies, and so much of it is just lies Satan is dumping like refuse down on her heart and mind. Trash load after trash load of lies. So, we do our best, of course we do, loving, encouraging, speaking truth, building up. How beautiful, though, that God loves our children with a heart bigger than ours and wisdom much greater. Despite all I can give even when I am giving my all, still He gives more; He gives exactly right. 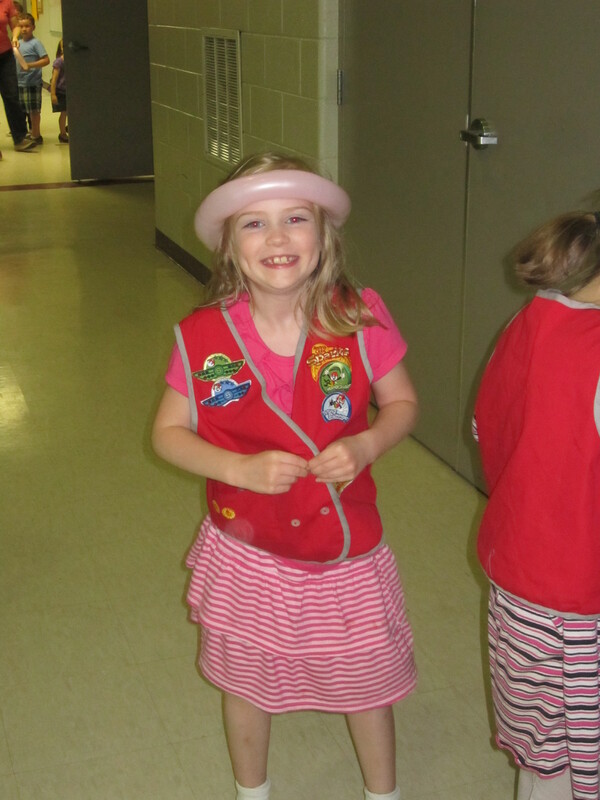 A few days after the Sunday morning disaster, it was my middle girl they called up to receive a prize at Awana for best behavior in her club that night–a gift card, of all things, more coveted than any trophy or medal. And I gasped, absolutely lost my breath sitting there on that wooden bench watching her run up for that prize. I was all teary-eyed and I could have fallen down right there on that dirty gymnasium floor and lifted hands to God and just cried at His feet in thanks. Didn’t He know best that she needed a moment to shine? And didn’t He give her exactly what she needed, something I couldn’t really give on my own, something as a mom I desperately needed Him and only Him to do? Yes, He worked in her heart that night. But He also worked in mine. He reminded me right there that He hears the prayers for my children and they are so safe in His hands. Because I may not be a middle child, but surely I can act out with all that bitterness and envy and self-pity too much of the time. Middle-child faith. That’s what I have sometimes. We all have things we covet: Someone else’s marriage, ministry, looks, relationships, money, possessions, whatever. I surely have mine. And when I’m all wrapped up in what someone else has or does, so focused on keeping some kind of tally or score, then I’m missing out on God’s goodness to me. No doubt about it! God is good— good to good people, good to the good-hearted. No doubt about it: God is good. Good to our children. Good to us. No doubt about it: I don’t want to miss seeing His goodness by looking the other way, looking at others and not at Him. No doubt about it: I can trust Him to care for my family and for me.